Godolphin’s Dream Castle posted the second win of his unbeaten campaign at Meydan, having been gelded after failing to get closer than third in four attempts last year. The five-year-old son of Frankel, a 7-4 favourite under Christophe Soumillon, put stablemates Leshlaa and Racing History in the shade – by three lengths and a nose respectively, with Charlie Appleby’s Blair House a place further back in the same colours. Saeed Bin Suroor said: “The horse is going really well – I like the way he is finishing his races. “He showed a good turn of foot, and was even more relaxed tonight (than last time) – so it’s looking good for the future. Bin Suroor, Soumillon and Esthidaaf found one prove half a length too good for them in the Al Bastakiya Trial, won on the dirt by 5-1 shot Manguzi for UAE trainer Ali Rashid Al Rayhi. Ex-Argentinian champion Saltarin Dubai led all the way in the EGA Jebel Ali Trophy to score for the second time in 12 attempts over this course, by one and a quarter lengths, for Satish Seemar. Back on the turf, D’bai struck on his first start of the second successive year, providing Charlie Appleby and Godolphin with their fourth winner in the last five runnings of the Al Fahidi Fort. 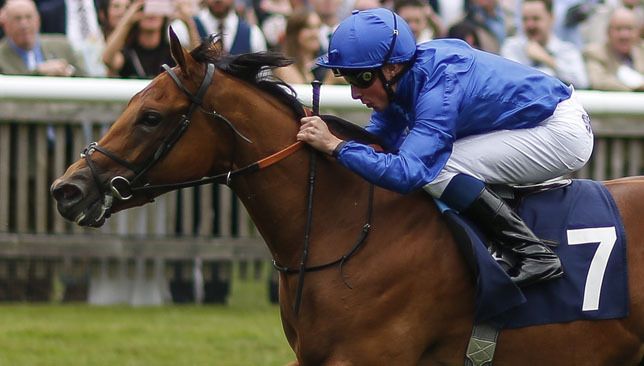 After the five-year-old’s one-and-three-quarter-length win under James Doyle – from stablemate Mythical Magic, with two more Godolphin charges third and fifth – Appleby made no secret of the fact he sees it as ‘job done’ already for a gelding who thrives when fresh. “His first run is generally his better run,” he said. “We’ve dabbled with six furlongs, but seven is his ultimate trip – and those races are limited. 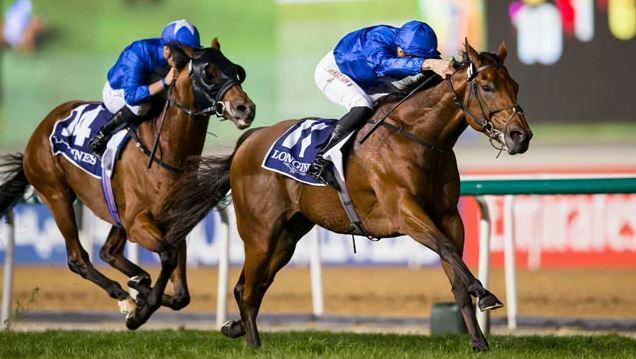 Appleby and Doyle wasted little time in following up, with Spotify hitting the right note in the following EGA Al Taweelah Trophy, which brought the card to a close. 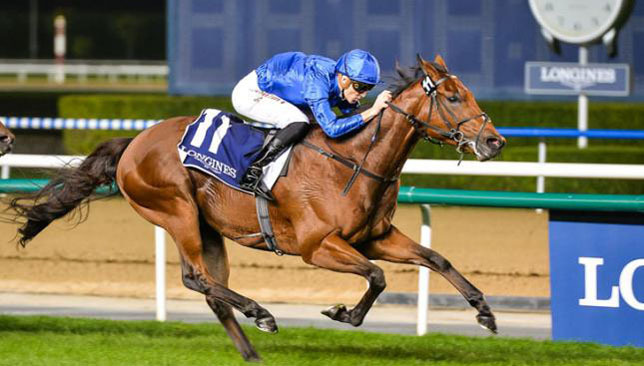 One of the feature contests at Meydan on Thursday is the Group Two Al Rashidiya in which six of the nine runners are trained by either Saeed bin Suroor or Charlie Appleby. Blair House, who was campaigned in Australia most recently, and Dream Castle, look the pick of the blue army, while David Simcock runs Arod. Appleby told www.Godolphin.com: “Blair House put up a couple of decent performances out in Australia and has had a little break since. Of Dream Castle, Bin Suroor added: “Dream Castle won well in the Singspiel Stakes and came out of the race in very good order. The other Group Two on the card, the Al Fahidi Fort, sees Marinaresco, a star in South Africa, make his debut for Mike de Kock. Chris Waller of Winx fame runs Comin’ Through, with George Scott’s Another Batt, David O’Meara’s Intisaab and the Appleby-trained D’Bai others to to note. Winning trainer Charlie Appleby said: “James gave her a peach of a ride in getting her switched off. I was always confident turning in as she was travelling supremely well and has a finishing kick. She out the race to bed nicely. “She’s been training a lot better this winter than she was last year. She is a stronger individual and more mature. “She’s done that well and I see no reason why she shouldn’t see out the Balanchine as well. That is the only race left over here for the fillies and mares so she’ll have a stab at it. Appleby had a one-two in the Azizi Star Handicap with First Nation (8-1), ridden by Brett Doyle, beating Colm O’Donoghue on Nordic Lights, with Doyle out of luck on Celestial Spheres. Saeed bin Suroor provided Godolphin with a fourth winner on the card when Desert Fire (5-1), ridden by Chris Hayes, got home from stablemates Race Day and Bedouin’s Story in the Azizi Mina Handicap.